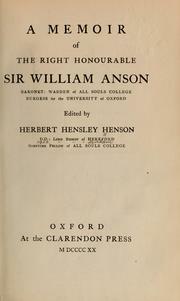 1 edition of A memoir of the Right Honourable Sir William Anson, Baronet found in the catalog. Add another edition? Are you sure you want to remove A memoir of the Right Honourable Sir William Anson, Baronet from your list? 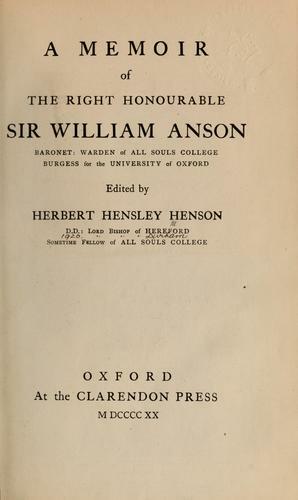 Published 1920 by The Clarendon Press in Oxford . April 13, 2011 Edited by ImportBot Found a matching record from Internet Archive .